Our phone systems integrate with most popular CRM solutions. Our Xarios Phone Manager Professional solution provides integration with many popular software applications and can screen-pop or synchronise with Microsoft’s Office Outlook®, Access® and Dynamics® CRM as well as Act!, Goldmine and Maximiser. Our Mitel UC Advanced software integrates with leading business productivity tools such as Microsoft® Exchange, Microsoft Outlook® and Microsoft Office, as well as IBM® Lotus Notes®. 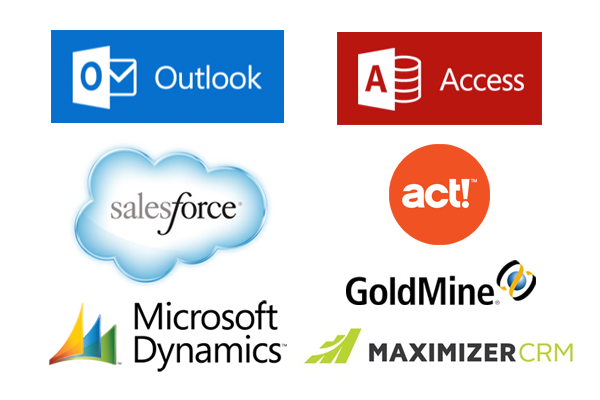 Our Oak Smart Connect CTI solution integrates with Act!, Goldmine, Lotus Notes, Maximiser, MS Access Applications, MS CRM, MS Dynamics, MS Exchange, MS Outlook, SuperOffice CRM, Sage Act, Sage line 50, Sage CRM, Logical Office. Our Oak Patient Connect integrates with EMIS and other Clinical Databases. Talk to one of our experienced consultants to find out how your organisation can benefit from CRM integration with your phone system and which solution would best suit your business needs. To find out more about our CRM Integration Solutions call 0800 206 2107 or send us an email.